Those who remember the event might be surprised (or horrified) to learn that on March 31, the original StarCraft is turning twenty. To celebrate the two decades since its release, Blizzard Entertainment is launching a series of in-game giveaways, streams, and a short film related to the real-time strategy classic. The granddaddy of eSports that went on to become a way of life for some people in South Korea was launched on March 31, 1998. As it has done with other games from its back catalog, Blizzard is marking the occasion with some StarCraft-related extras. Logging into StarCraft: Remastered and StarCraft 2 after March 6 will get you some commemorative interface skins. SC2 is also offering a Portrait and Decal if you log in before April 6. Moving onto non-StarCraft titles, Diablo 3 players can get a Battlecruiser-themed pet called Dominion’s Revenge by logging into the game from tomorrow. Overwatch players, meanwhile, will receive the Sarah Kerrigan Ghost skin for Widowmaker if they log in before April 3. More StarCraft-themed companion pets will be available in World of Warcraft between March 31 and April 6. There are also anniversary portraits in Heroes of the Storm from March 27 through April 7, and you can play a StarCraft-inspired Tavern Brawl in Hearthstone from March 21 to March 25 to receive three Kobolds & Catacombs packs. 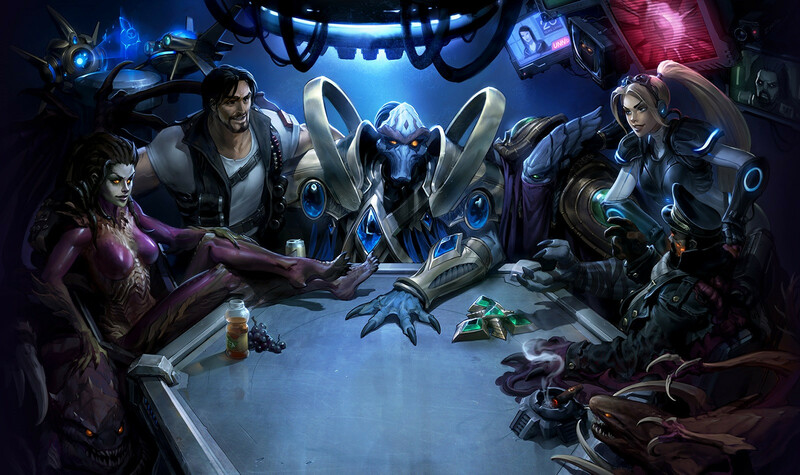 On March 30 and 31, Blizzard will be hosting an anniversary stream on Twitch featuring popular StarCraft personalities. March 31 will also see the release of a YouTube short film called 'StarCraft is Life: A Celebration,' which features fans from around the world talking about their memories of the game.